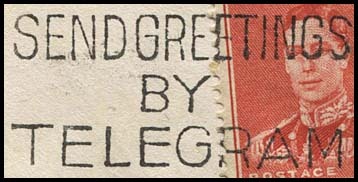 Slogan cancellations: Send Greetings by Telegram. 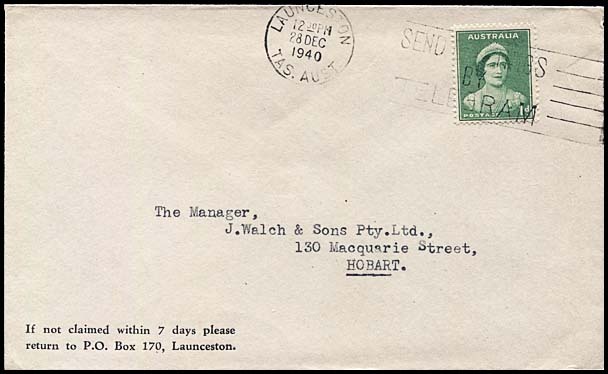 was introduced at all main Post Offices during December 1932. 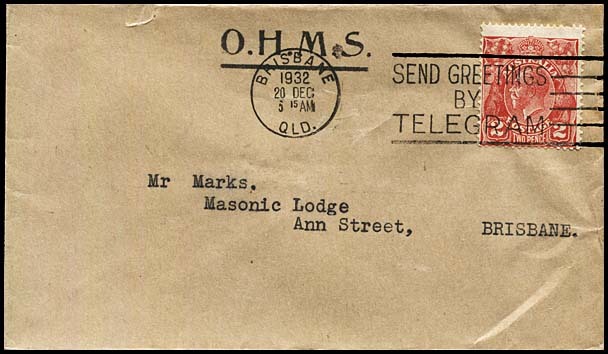 Its purpose was to promote the use of the Christmas and New Year Ornamental Telegrams first introduced in 1929. 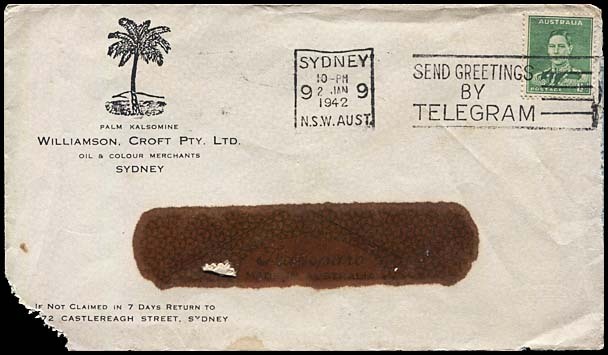 First recorded date for this slogan: 19 December 1932 at both Melbourne and Sydney. 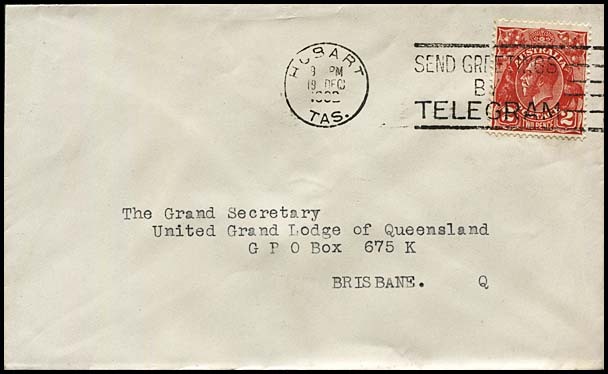 Latest recorded date for this slogan: 2 January 1941 at Brisbane 4. 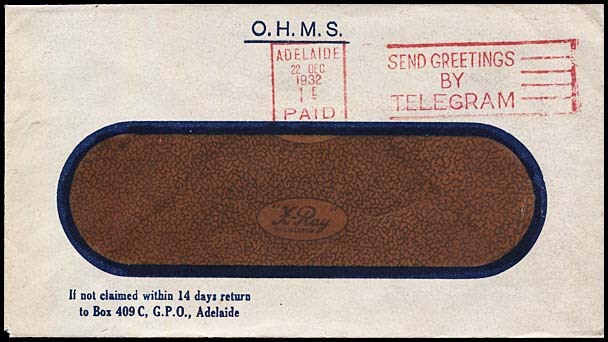 The slogan was generally withdrawn from use starting in late 1939 or early 1940.
through considering the position of the word BY relative to the G of TELEGRAM. the base of the B of BY slopes upwards. The G for this and the remaining dies is much rounder. the Y (of BY) extends to overlap the 2nd E above and is over the G below. the Y (of BY) is at or to the right of the G below. the Y (of BY) extends to the end of the 1st E above. Examples of date stamps for this slogan are shown below. Further details on the main variations for different Offices, including Die variations, are accessed by the hyperlinks below. 19 December 1932 - earliest recorded date. Less than 5 examples recorded.